The Mil Mi-28 (NATO reporting name 'Havoc') is a Russian all-weather day-night military tandem two-seat anti-armour attack helicopter. It is a dedicated attack helicopter with no intended secondary transport capability, better optimized than the Mil Mi-24 for the anti-tank role. It carries a single gun in an undernose barbette, plus external loads carried on pylons beneath stub wings. In 1972, following completion of the Mi-24, development began on a unique attack helicopter with transport capability. The new design had a reduced transport capability (3 troops instead of 8), omitted the cabin, to provide better overall performance and higher top speed. Improved performance was important for its intended role fighting against tanks and enemy helicopters and covering helicopter landing operations. Initially, many different designs were considered, including an unconventional project with two main rotors, placed with engines on tips of wings (in perpendicular layout), and with an additional pusher propeller on the tail. In 1977, a preliminary design was chosen, in a classic single-rotor layout. It lost its similarity to the Mi-24, and even the canopies were smaller, with flat surfaces. Design work began on the Mi-28 began under Marat Tishchenko in 1980. In 1981, a design and a mock-up were accepted. The prototype (no. 012) was first flown on 10 November 1982. The second prototype (no. 022) was completed in 1983. In 1984 the Mi-28 completed the first stage of state trials, but in October 1984 the Soviet Air Force chose the more advanced Kamov Ka-50 as the new anti-tank helicopter. The Mi-28 development was continued, but given lower priority. In December 1987 Mi-28 production in Rosvertol in Rostov on Don was approved. In January 1988 the first Mi-28A prototype (no. 032) flew. It was fitted with more powerful engines and an "X" type tail rotor instead of the three-blade version. The Mi-28A debuted at the Paris Air Show in June 1989. In 1991 the second Mi-28A (no. 042) was completed. The Mi-28A program was cancelled in 1993 because it was deemed uncompetitive with the Ka-50, and in particular, it was not all-weather capable. Then the Mi-28N, was unveiled in 1995, the N designation meaning "night". The prototype (no. 014) first flew on 14 November 1996. The most significant feature is a radar in a round cover above the main rotor, similar to that of the American AH-64D Longbow Apache. Mi-28N also has improved Tor vision and an aiming device under the nose, including a TV camera and FLIR. Due to funding problems, development was interrupted. A second prototype with an improved rotor design was unveiled in March 2004 at Rosvertol. Changes in the military situation after the Cold War made specialized anti-tank helicopters, like Ka-50, less useful. On the other hand, its all-weather, two-seat variant Ka-52 had worse performance due to increased weight. The advantages of the Mi-28N, like all-weather action ability, lower cost, and similarity to the Mi-24, have become important. In 2003, the head of Russian Air Forces stated that the Mi-28N will become the standard Russian attack helicopter. The first serial Mi-28N was delivered to the Army in 2006. A total of 67 Mi-28Ns are to be purchased by 2015, when the Mi-24 is to be completely replaced. An export variant of the Mi-28N, designated Mi-28NE, and a simpler day-helicopter variant, the Mi-28D, based on the Mi-28N design, but lacking radar and FLIR have also been developed. The Mi-28 has two heavily armored cockpits, a windshield able to withstand hits from 7.62 - 12.7 mm caliber bullets, a nose equipped with electronics, and a narrow-X tail rotor (55 deg) with reduced noise characteristics. It is powered by two 2,200 hp Isotov TV-3-117VM (t/n 014) turboshaft engines. The Mi-28N features a Helmet mounted display for the pilot. The pilot would designate targets for the Navigator/Weapons officer, who proceeds to fire the weapons required to fulfill that particular task. One armament that is commonly seen amongst Mi-28s are a pair of 8 Ataka missile racks along with 2 B-13L rocket pods, each able to carry 5 S-13 rockets. Other rocket options include two B-8 rocket pods, each able to carry up to 20 S-8 rockets. The 30 mm chain gun is a staple amongst all Mi-28 combat loads. The Atakas used have 4 variants for different tasks. The 9M120 Tandem High Explosive Anti-Tank (HEAT) warhead variant is used against tanks fitted with Explosive Reactive Armor (ERA), its penetrative ability is stated at 800 mm Rolled Homogeneous Armour (RHA). The 9M120F Thermobaric variant is used against infantry, buildings, bunkers, and caves. The 9M120O expanding rod warhead variant is used against other helicopters. All the variants have a range of 6 km. The 9M120M improved version has a longer range (8 km) and better penetration (900 mm of RHA). All of the variants use SACLOS missile guidance. The S-8 and S-13 rockets used by the Mi-28 are usually unguided. In the most common configuration, one can expect 40 S-8 rockets or 10 S-13 rockets. Both rockets have their variants, from HEAT warheads to a Thermobaric warhead. The S-8 has a shorter range and smaller warhead than the S-13, but compensates with numbers. Currently, the Russian Air Force are upgrading their S-8 and S-13 rockets to guided rockets. The project, named "Ugroza"(Menace), will use Laser guidance or optical guidance (by means of a TV screen) to guide the rockets to their targets. Rockets upgraded under Ugroza receive the suffix of "Kor". Ugroza also allows the rockets to be fired at their maximum kinematic range, while maintaining an accuracy of 0.8-1.6 m Circular Error Probable (CEP). The gun armament of the Mi-28 is the 30 x 165 mm Shipunov SA42 Autocannon. It is a select fire, dual-feed gun, which allows for a cyclic rate of fire between 200 rounds per minute to 550 rounds per minute. Its effective range varies from 1500 meters for ground vehicles to 2500 meters for air targets. 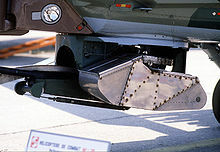 Rounds from High Explosive Incendiary (HEI) to Armour-Piercing Discarding Sabot (APDS) can be used. Stated penetration for the ammunition is 50 mm of RHA at 1500 meters. The Russian Army received the first serial Mi-28N in 2006. That serial Mi-28N then joined two pre-serial helicopters for army trials. The aircraft entered service in 2006, along with the Ka-50/Ka-52. The Indian Military asked for a modified prototype of Mi-28 fitted with French and Belgian avionics. Russian manufacturers are discussing how to meet these requirements. Mi-28A - Original production anti-tank helicopter. Development done in 1998, first flight in 2003. Mi-28N/MMW Havoc - All weather day-and-night combat helicopter. It is equipped with a top-mounted millimeter wave radar station, IR-TV, and laser ranger. Serial Mi-28N will have two Russian Klimov TV3-117V MA-SB3 engines (2,500 hp each), made in production by the Ukrainian Motor-Sich. Max take off weight of 11500 kg, max payload weight of 2,350 kg. Mi-28N has been entered service under the name of "Night Hunter" (Russian: Ночной охотник). A squadron of Mi-28N from Torzhok town has taken part in the joint army exercise in Belorussia in June 2006. Mi-28D - simplified daylight operation version. Similar to Mi-28N, but without top-mounted radar and TV-channel in sight. Mi-28NAe - export version offered to North Korea. Mi-28L - proposed export version for Iraq. Mi-40 - armed transport version. Russian Air Force - 27 added to inventory between 2007 and 2009, with total number uncertain. 118th Helicopter Regiment - Dmitriyevka, Oblast, operates 21 Mi-28s. Venezuelan Air Force - 10 Mi-28N/MMW on order as of April 2010, delivery date unknown.